Immaculate Fraser area Legal Triplex in excellent condition, with updated kitchens, baths, electrical & more. Suite Mix: 3 X 2 Bdrm Units, each approx. 825 SF. Top Floor $1,699/mo, Main Floor $1,800/mo (est). Ground Floor $1,586/mo. 420 SF Garage $500/mo. Gross Income $67,020/yr w rental upside. 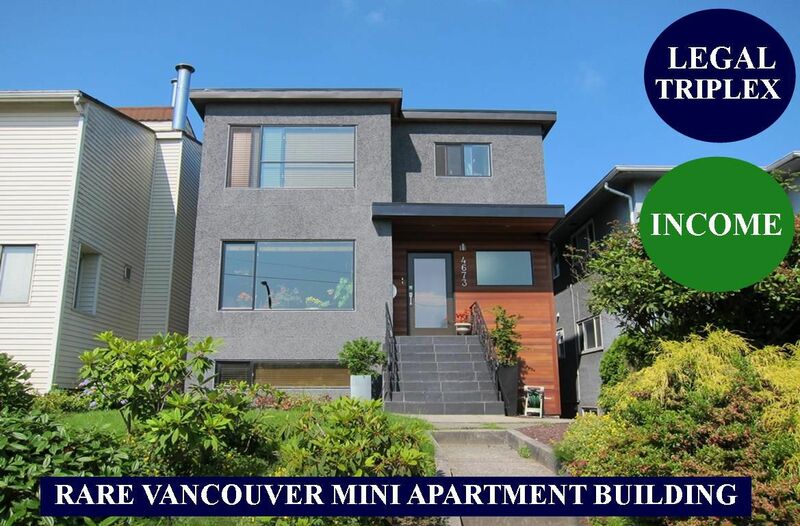 Spacious, clean accommodation in very central location close to shops, Restaurants, transit, steps to Main Street, mins to Queen Elizabeth Park, Hillcrest Community Center, short trip to Downtown. Great property for Investors, Owner Occupiers, Developers. All viewings by Appointment Only with 2 day notice, weekdays & Sat between Noon & 5:00pm. Contact Bob Bracken 604-220-2035 for Showings and details.